Former University President James W. Wagner received $2.36 million in deferred-compensation awards in addition to his $991,460 base salary in 2015, making him the second-highest paid private college president that year, according to The Chronicle of Higher Education’s executive compensation report. 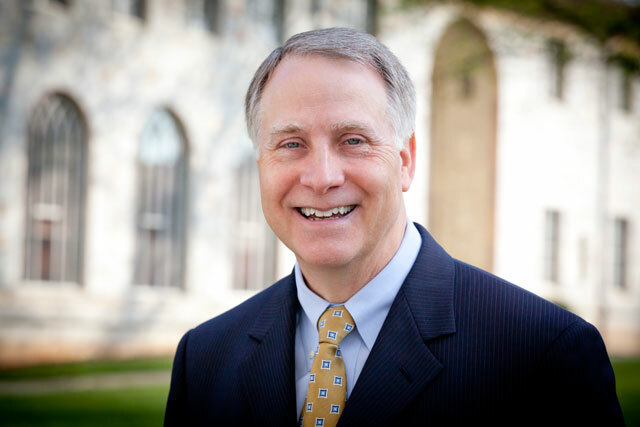 Out of 569 private college chief executives, Wagner’s $3,510,451 total compensation fell second to the earnings of Wake Forest University (N.C.) President Nathan O. Hatch, who also received deferred-compensation awards of $2.89 million in 2015. Deferred-compensation payouts are negotiated by universities to avoid high turnover for top leadership. Emory University and Wagner negotiated the $2.36 million payout in 2005, two years after Wagner became University president, on the basis that Wagner would remain president for at least 10 more years, according to Associate Vice President for Media Relations Nancy Seideman. In 2015, Wagner received from Emory a base salary of $991,460, $74,288 in nontaxable income and $2,444,703 in “other pay,” which includes the compensation package, according to the Chronicle. Wagner earned in total compensation 76 times as much as the cost of tuition and 21 times as much as the average faculty member salary, according to the report. He also ranked No. 13 in base pay among private college chief executives. Wagner served as University president for 13 years before he retired August 2016. The Chronicle’s updated executive compensation report, released Dec. 10, includes salary data on more than 1,200 chief executives from 2008 through 2015. The Chronicle used Form 990 from nonprofit organizations’ tax returns to compile the data. Tax returns filed by 501(c)(3) nonprofits are public record. Emory’s Executive Compensation and Conflict of Interest Committee of the Board of Trustees works with independent consultants to review the president’s salary in relationship to peer institutions, according to a Dec. 16 University statement Seideman emailed to the Wheel. Peer institutions similarly negotiate compensation packages to retain leadership, according to Seideman. Seideman did not respond to a request about whether current top University officials, including University President Claire E. Sterk, have compensation packages similar to that of Wagner. An increasing number of universities are proposing compensation packages to be competitive in attracting and retaining top leadership but such a system is flawed, Dan Bauman, the first author of the Chronicle’s report, said in a phone interview with the Wheel. Seideman wrote that Wagner’s total earnings were fair compared to those of other college presidents. “The Emory University president’s compensation is consistent with that of other top university presidents in the nation, particularly those who lead major research universities,” Seideman wrote. Richard Vedder, director of the Center for College Affordability and Productivity, agreed that Wagner’s salary is close to that of presidents at peer institutions. Vedder also noted that executive compensations are increasing at a historically high level. Vedder, also a distinguished professor of economics emeritus at Ohio University, said that presidential salary increases that exceed inflation rates often lead to increases in salaries for other executive positions, such as the provost. On a per student basis, those increases are not significant, Vedder said, but they may have a negative impact on how much donors are willing to give to the institution. Under a provision in the Tax Cuts and Jobs Act that was signed into law by President Donald J. Trump Dec. 22, 2017, tax-exempt organizations that pay employees more than $1 million in a given year will be penalized with a 21 percent excise tax beginning 2018. According to a 2014 Wall Street Journal report, about 2,700 employees nationwide receive more than $1 million in compensation from nonprofits. The report did not include the exact number of those employees who received deferred-compensation awards but said that “many” had, and that about one-quarter of the employees received a base pay of more than $1 million. The U.S. Congress Joint Committee on Taxation estimated Dec. 18 that the provision would raise about $200 million a year. Richard Chess and Niraj Naik contributed reporting.